Move Puts Heavy Rain DLC on "Indefinite Hold"
Motion controls win out over DLC on Heavy Rain's cold streets. If you're eager to explore more of the dark world of Heavy Rain, then you're in for some disappointment. Production of new episodes of Heavy Rain Chronicles has been put on "indefinite hold" while Quantic Dream adds Move support to the original game. The first downloadable episode, a prequel entitled The Taxidermist, was given away free to those who pre-ordered the game, and was made available for purchase on PSN soon after the game's release. The second episode was supposed to feature the Origiami Killer as a playable character, but now its future seems uncertain. According to Quantic Dream's Guillame de FondaumiÃ¨re, Sony encouraged the company to focus on adding motion controls, rather than creating more content for the game. de FondaumiÃ¨re said that work on more downloadable content might resume once Move controls had been implemented, but that Quantic Dream was more likely to start work on its next project instead. 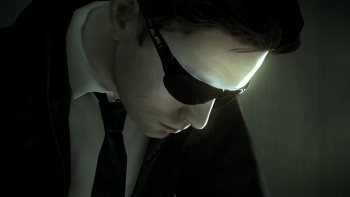 Susan Arendt gave the Move version of Heavy Rain a try at E3. Look for her thoughts on it soon.